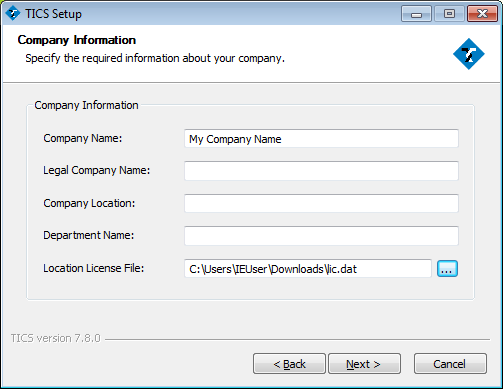 The File Server hosts all TICS executables, codechecker executables, and the central TICS configuration. This chapter describes how the File Server is installed. 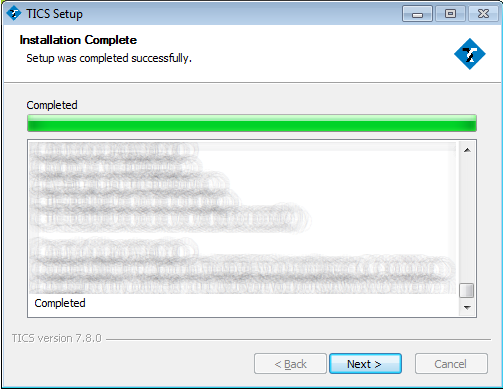 How it should be configured is described in the TICS Administration Guide. 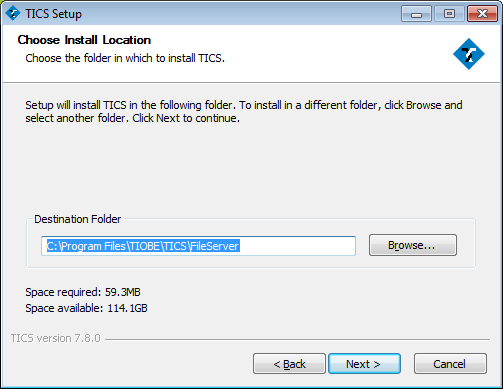 Choose and optionally create a directory on the File Server in which the TICS installation of the File Server will be performed. 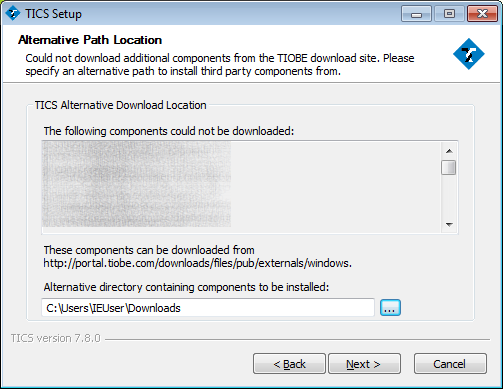 Throughout this installation it is assumed to be the directory "C:\Program Files\TIOBE\TICS\FileServer" (this is the recommended location). 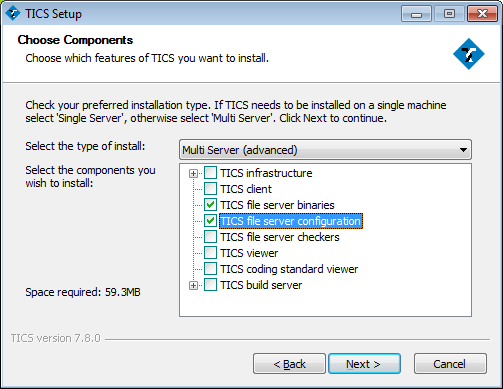 Choose "Multi Server" in the combobox and make sure only "TICS file server binaries" and "TICS file server configuration" are checked. 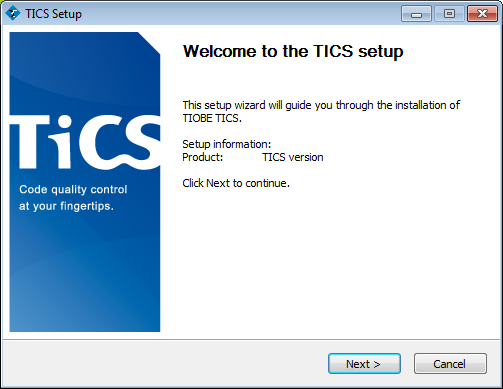 Specify the path to the TICS directory on the File Server for the "Destination Folder", e.g. 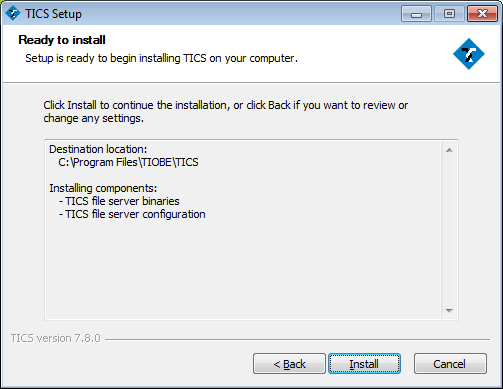 "C:\Program Files\TIOBE\TICS\FileServer" and click "Next >". The TICS file server installation is complete.